Lois is a born again, spirit-filled woman of God who is totally committed to strengthening the body of Christ. A New Orleans native, her entire life has been centered around God and her family. She worked diligently fulfilling the position of helpmeet to her late husband, Bishop Robert C. Blakes, Sr, as he carried out the vision God assigned to him. Since his demise, she now works closely with her two sons, who together have assumed leadership of the “Family of Churches”. In addition, she is the founder and director of the Free Spirit Women of Victory, a ministry designed to meet the needs of the TOTAL WOMAN: Spirit, Soul and Body. God has called her to help women realize who they are and to promote awareness of their specific purposes and functions in the Body of Christ. She is devoted to the ministry of preparing women to face their challenges, as she encourages them to live victoriously in spite of their obstacles. 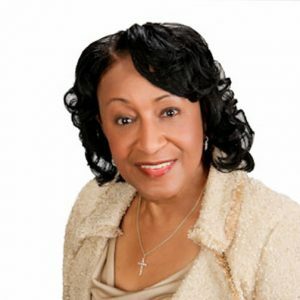 Lois serves as CEO and General Manager of KKNO, “Unmistakably Christian Radio,” where she presently hosts the “Woman’s Corner,” a program that offers Biblical answers, spiritual guidance and comfort for women from all walks of life. She formerly hosted a talk show called the “Issues of Life” which enlightened the community of needed services offered by various organizations and small businesses. These two programs have touched and changed numerous lives. She is a product of New Orleans public schools and holds degrees from Southern University of New Orleans and Xavier University of Louisiana. She is also a graduate of Christian Bible College of Louisiana.